We had the pleasure of meeting Fashion Blogger and Youtube sensation Lydia Elise Millen a few weeks ago. We invited the Bride-to-be to our Knightsbridge Flagship Showroom for a bridal appointment to view the new 2018 Collection. Lydia tried on a variety of styles and shapes assisted by her Best friend and Bridesmaid Carrie, and looked sensational in every bridal gown she tried. 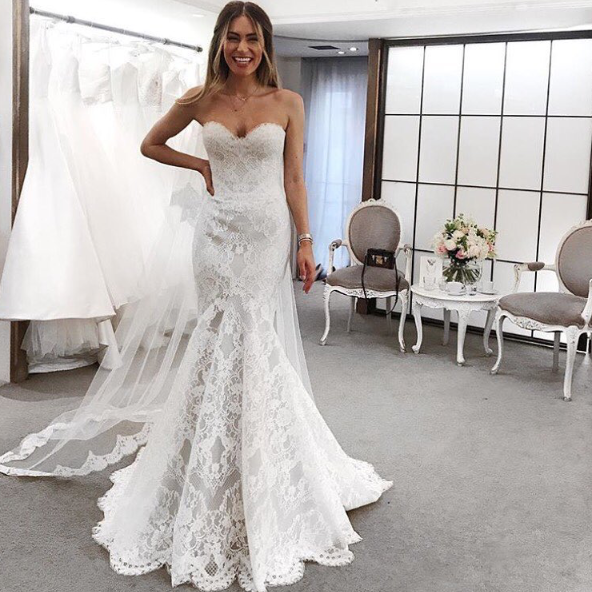 Lydia filmed her Suzanne Neville experience over on her channel, so to have a glimpse at the gowns she tried click the link below to see her full video.